With immersive and Full HD image of the projector is exceptionally suited for events in museums, theaters, exhibitions, signage, product and app launches. The laser technology is not hindered by natural ambient lights levels being high and atmospheric dust does not alter the high image quality. In addition, the dual-drive laser optical engine ensures reliable 24//7 operation with light source fail-over protection. In the unlikely event that the original laser should stop working, then the dual laser will step on and resume the high quality projection, resulting in a long-lasting high picture quality throughout the entire event. The PT-RZ970 delivers an accurate white balance and colour reproduction in any projection mode, ensuring a sharp and vivid image even in bright environments. 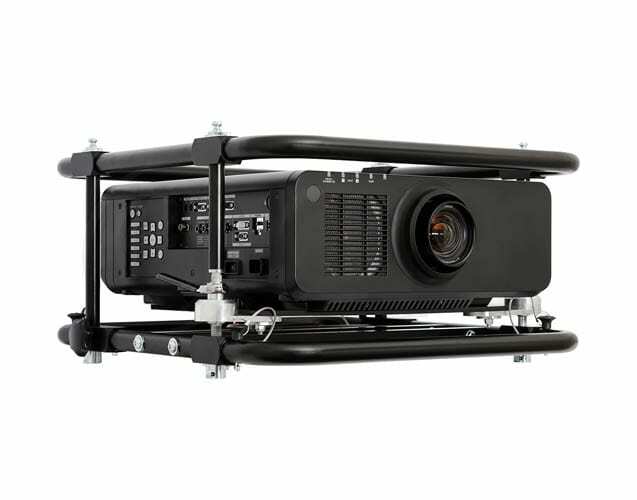 Reliable and low maintenance, this laser projector is good for long-term usage as it provides 20,000+ hrs uninterrupted projection making it the quintessential visual product for longer running events without compromising on image quality. The compact design and lightweight nature of the projector means it is easy to install and our technicians can do so efficiently, making this an ideal projector for events where time is of the essence. Our team are trained and experienced for set ups within restricted time limits. Other features include, instantaneous on/off function, multi-screen support, built-in geometric adjustment (allows the projection to be fine tuned for specially shaped screens). This laser projector offers an ingenious and versatile way to showcase an outstanding highly bright image or footage.